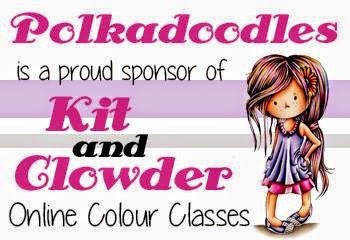 We are taking a little mini break for Christmas so we would love to take this opportunity to thank you all for your support for Polkadoodles and the team during 2016 - we absolutely love all your entries each week so huge thanks for entering. Have you seen all our brand new product releases in store this week? total gorgeness!! 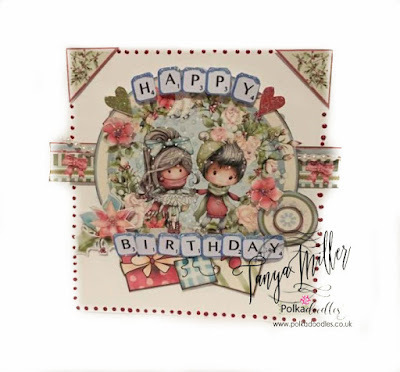 We have just released our first ever full paper craft kit with Clear Stamps, Paper pads and Doublet dies that match and co-ordinate so you can cut out fantastic embellishments! GORGEOUS! 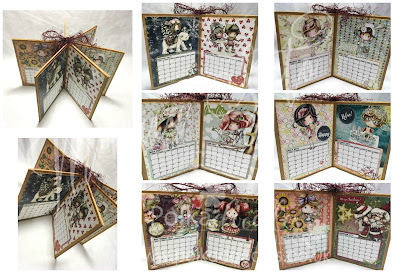 Plus a whole new download kit called Belle Papillon too which is completely unique. Everything is on pre-order but downloads will be released later this week : ) so bag the download bargains today while you can! The winner and top 3 for week 48 can be found at the bottom of this post. 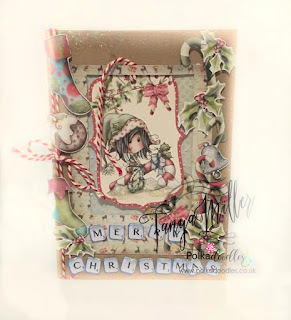 Tanya - This week I've made my final Christmas card and made it extra special with room to personalise it at the bottom. 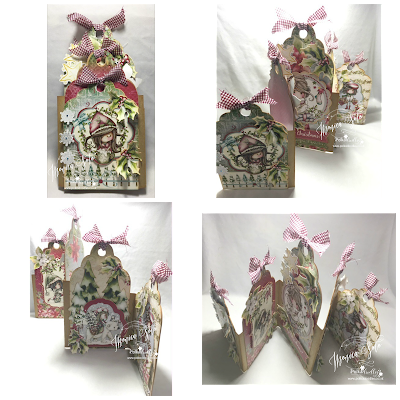 I've used the Winnie in Winterland Big Kahuna Collection to make my large A4 card by layering papers and sentiments and wreaths over the top of one another and then doing a bit of decoupage. More details on my blog. Jane P- For my make this week I decided to go with Winnie in Winterland Big Kahuna Collection to make a 5x5 card this week. 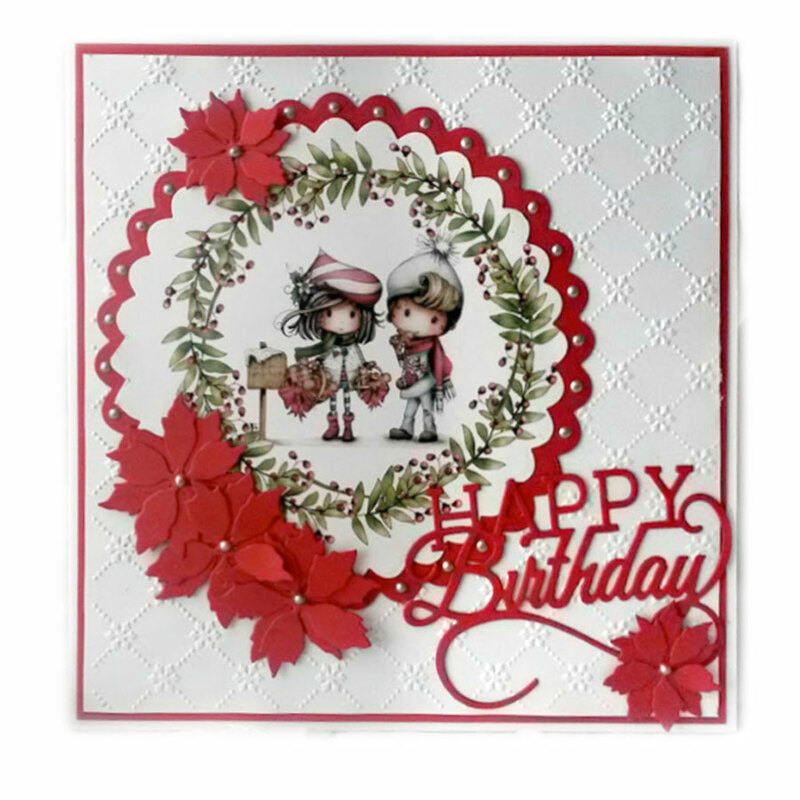 Also used the Flowers 2 dies. Distressed the edges, layered the paper and used the dies to cut the flower embellishments from the collection. Julie - For our last challenge of 2016, I decided to make one more Christmas card using the lovely Gingers from Baked with Love and coloured with Pencils. Lori - For my card this week, I printed the pre-colored images from the Baked With Love - Gingerbread digi collection and fussy cut it out, popped it up. I kept it very CAS as these 2 cuties have enough WOW factor to melt anyone's hearts!! Anjie - I thought I'd see the year out with a bang and share some home decor I have made for Christmas. And here it is. I used the Festive Christmas stamp soup collection for this. There are photos of the individual letters and how I made it over on my blog so please go check it out. I would also like to wish each and every one of you a happy and healthy Christmas and New Year. 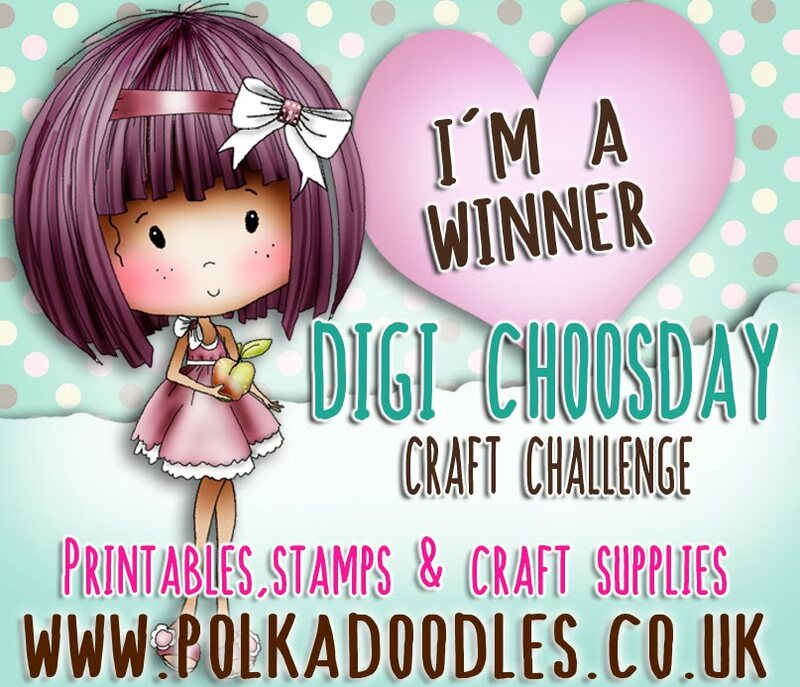 Please email us HERE quoting DCW051001 to claim your prize of £5 worth of downloads from the digi store! 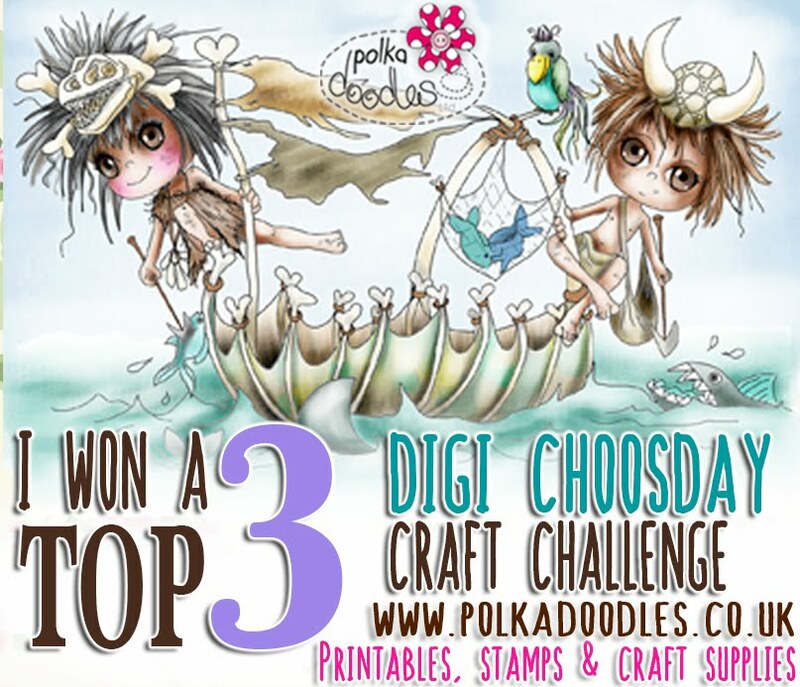 Well done and thankyou for your entries - lovely work! 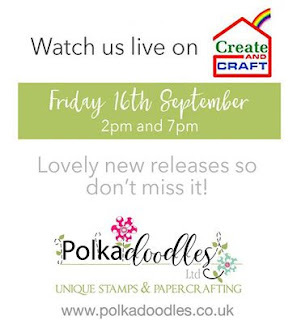 Don't miss our lovely Nikky on Create & Craft 16th December at 11am & 3pm GMT with our brand new latest collections! 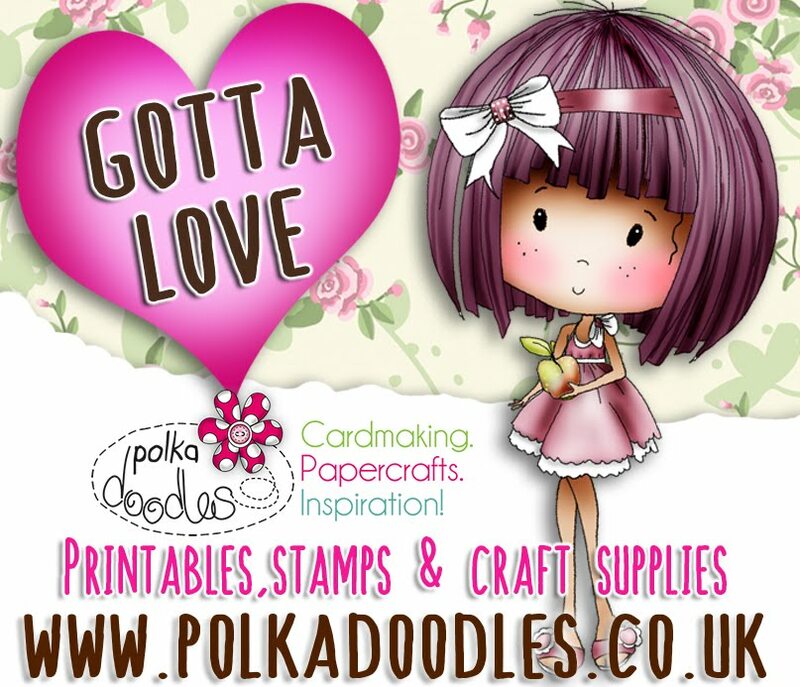 Gorgeous new Dies, PAPER PADS, yes, PAPER PADS!, stamps, the lushest CD kit ever made and more! Join us! The winner and top 3 for week 47 can be found at the bottom of this post. Anjie - I used the Octavia Moonfly collection this week as I hadn't used it in a while and thought it deserved an airing. I used the pre-coloured version of the Dragonfly image. Lots more info and photos on my blog. 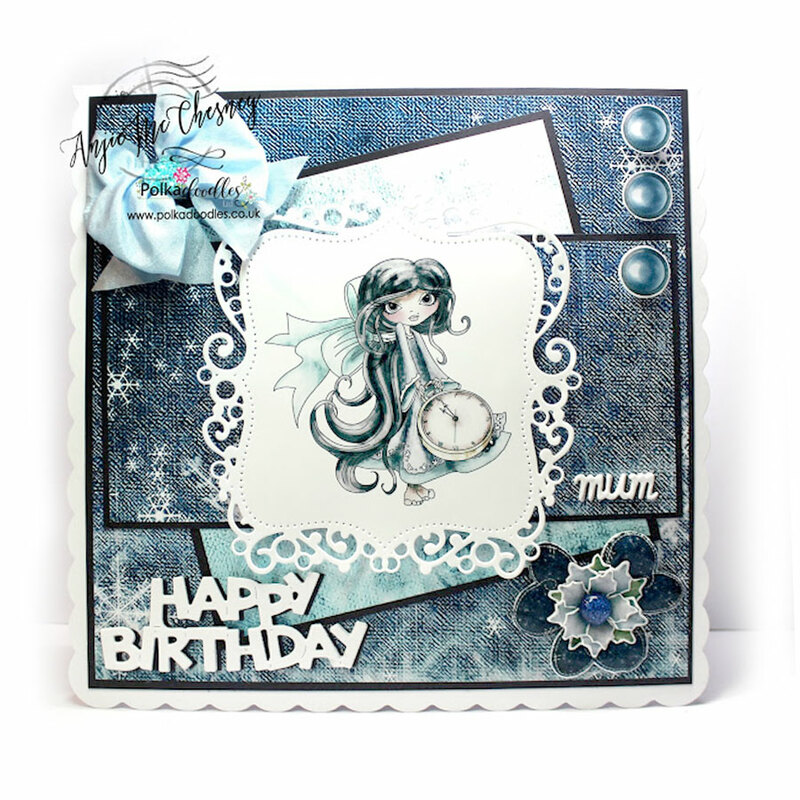 Tanya - This week's make uses elements from the Winnie in Winterland Design Sheet Number 4. 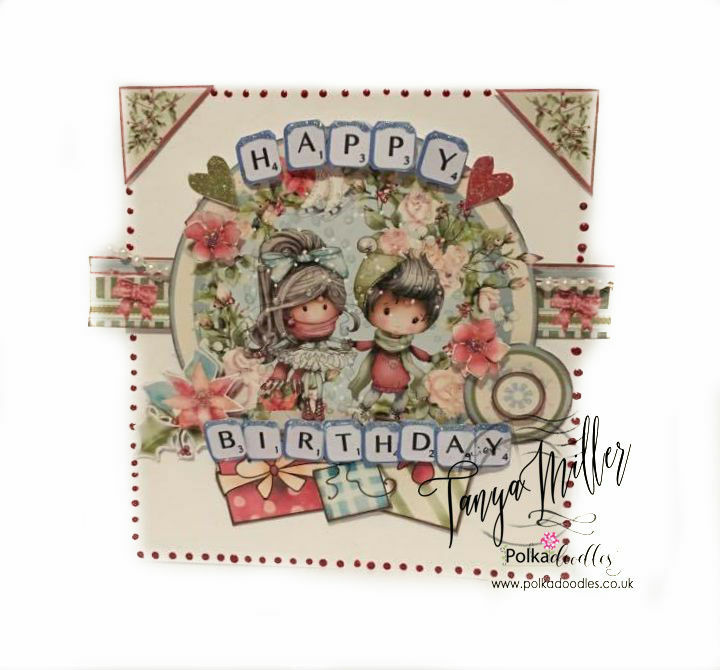 I have hidden the tag inside the front of the card under a layer of snowy acetate by cutting out the middle of the background paper from the design sheet. Finished off with glitter and some red and white twine. The scrabble letters like last week's make have been recolourised using Craft Artist and you can get them here. More photos on my blog. Jane P -This week I decided to return to the Winnie in Wonderland Collection. 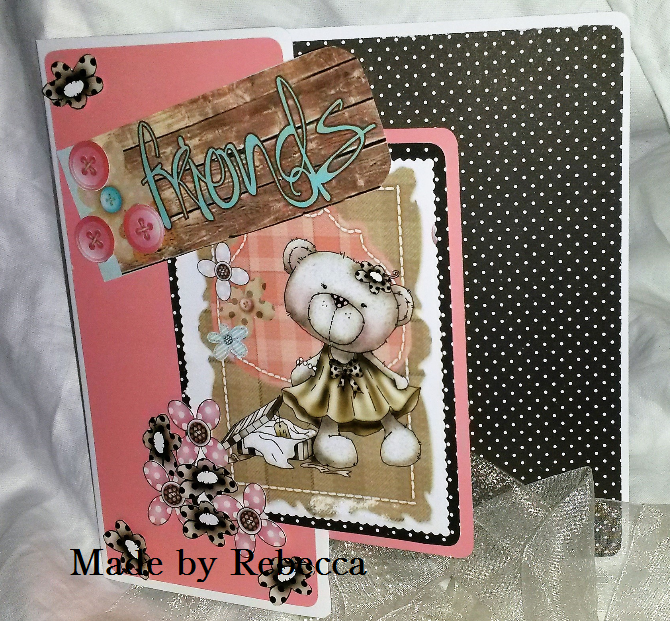 The embellishments in this collection has wonderful tags for the challenge this week. Having to keep things on the simple side since many of my things are set up in my craft room in the new house. Monica.- I wanted to use some tags to show the beauty of Winnie Winterland Collection, so I made a tag mini album. Jane S - I have used one of the pre-coloured tags and embellies from the gorgeous Octavia Frosted Winter Collection to make a tag shaped card! 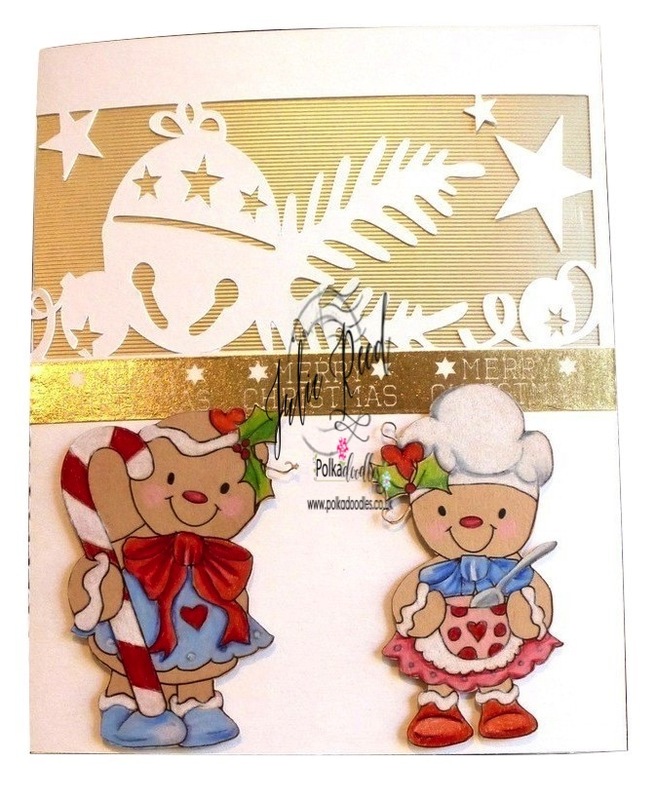 Lori - For my card this week, I printed out the pre-colored North Pole image from the Winnie Winterland collection. I wrapped the main image panel in some yummy red/white twine and added a button :) The tag and sentiment are from the Baked With Love collection - fit the bill perfectly! It is popped up with foam dots and I added a few sparkly gems to finish the card off...wa-laaa! Julie - I decided to use a little creative licence with my tag and instead made a hanging bauble using Polar Family from Octavia Frosted Winter Collection and coloured with Pencils. Please email us HERE quoting DCW050001 to claim your prize of £5 worth of downloads from the digi store! The winner and top 3 for week 46 can be found at the bottom of this post. 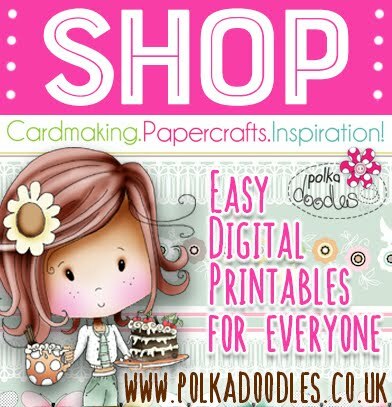 So lets see what our Design Team have made this week..
Anjie - It was my mums birthday at the end of November so I made this card for her. I have used the stunning Octavia Frosted Winter collection. I think this is another one of those collections that will never age, and I will never tire of. I used the Winter Time image, but the coloured one from the collection. 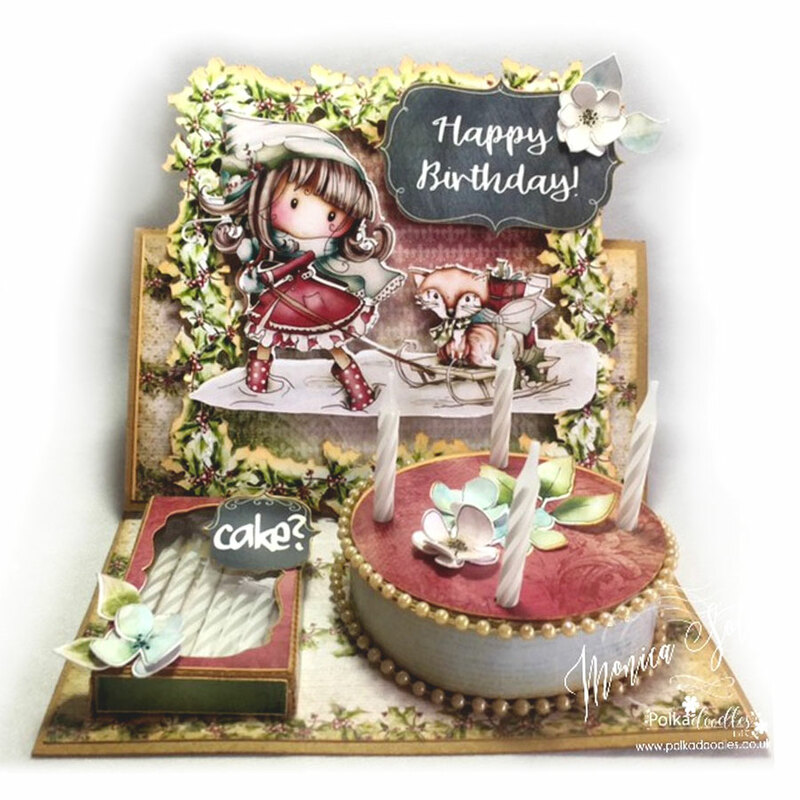 Monica - I just want to give a try to a "cake card" tutorial I found and Winnie Winterland collection was just perfect for a Christmas birthday make. 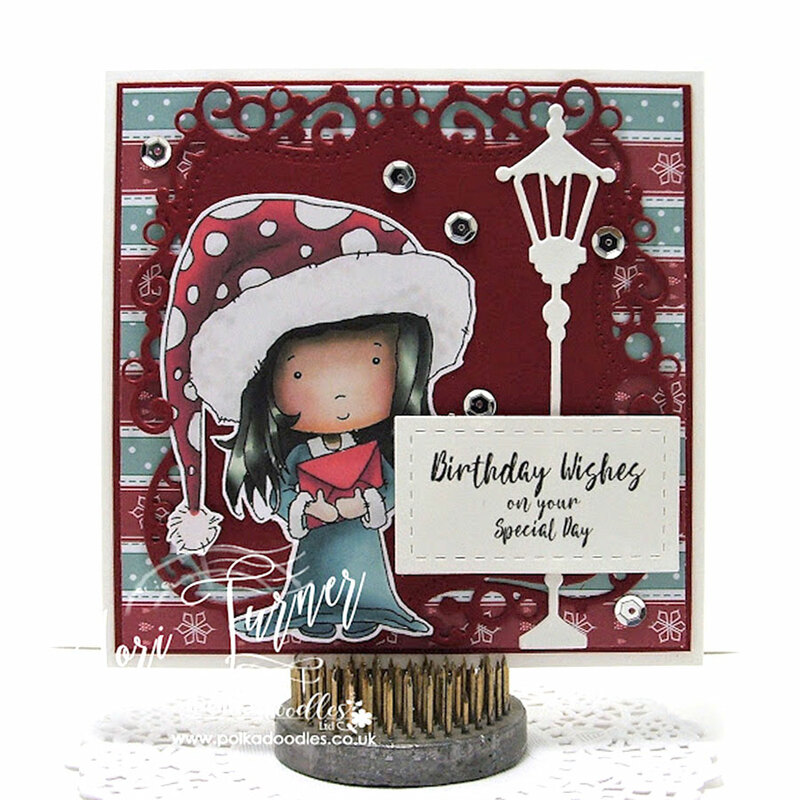 Tanya - I've made a little birthday card this week using elements from the Winnie in Winterland Design Sheet Number 11 layered up on top of one another and then using liquid pearls in red garnet around the outside and a length of faux pearls across the middle paper ribbon and under the main image. 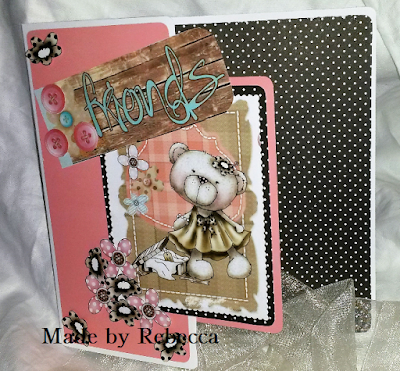 The scrabble tiles are from the Love & Kisses Work & Play Collection which I have recoloured using Craft Artist. More pictures on my blog. 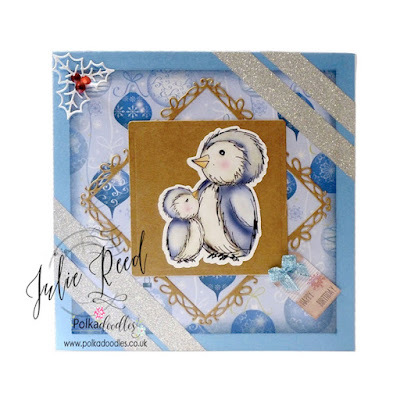 Julie - Quite a simple card from me this week as I am a little under the weather, using some cute penguins from Winnie Winter Land in shades of Blue and Silver. Jane S - A small A6 card from me this week using the cuter than cute Baked With Love bundle! Jane P -Used the Festive Christmas Collection for this weeks Happy Birthday make. Simple little make to spread some holiday cheer and birthday wishes! Please email us HERE quoting DCW049001 to claim your prize of £5 worth of downloads from the digi store!